Access Health Care Physicians is proud to announce that the National Committee for Quality Assurance (NCQA) has stated that Jatin Sheth, MD, has achieved NCQA Level 3 Patient-Centered Medical Home Recognition (PCMH) for achieving evidence-based, patient-centered processes that focus on family coordinated care and long-term participative relationships. Dr. Sheth has achieved recognition as a Level 3 patient-centered medical home. The office of Dr. Sheth is located at 920 W. Jefferson Street, Brooksville, Florida 34601. Call 352-796-8824 to schedule an appointment. Dr. Sheth is board certified in family medicine. He began his family practice residency at South Nassau Hospital in Oceanside, New York, in 2000. During his tenure at South Nassau Hospital, Dr. Sheth was named Chief Resident from 2002 – 2003. He received his Bachelor of Medicine and Bachelor of Surgery from B.J. Medical College, Ahmedabad, India, in 1991. From 1991 to 1996 he served as Chief Medical Officer at Karnavati Hospital in India. To earn recognition, which is valid for three years, Dr. Adam demonstrated the ability to meet the program’s key elements, embodying characteristics of the medical home. NCQA standards aligned with the joint principles of the Patient-Centered Medical Home established with the American College of Physicians, the American Academy of Family Physicians, the American Academy of Pediatrics and the American Osteopathic Association. 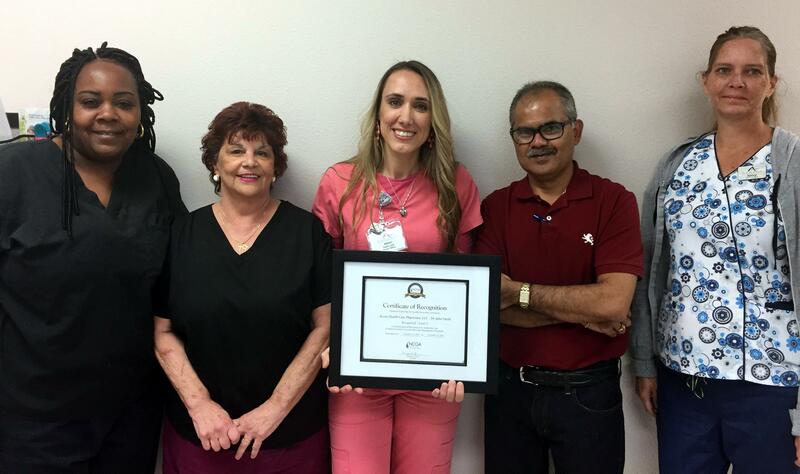 Attached photo: Dr. Sheth and his team pose with their certificate of recognition. Left to right: Yolanda Thomas, Medical Assistant, Toni Baines, Medical Assistant, Aileen Walker, Team Lead Dr. Sheth, Nancy Tucker, Admin Assistant.